Time for a Give-Away. 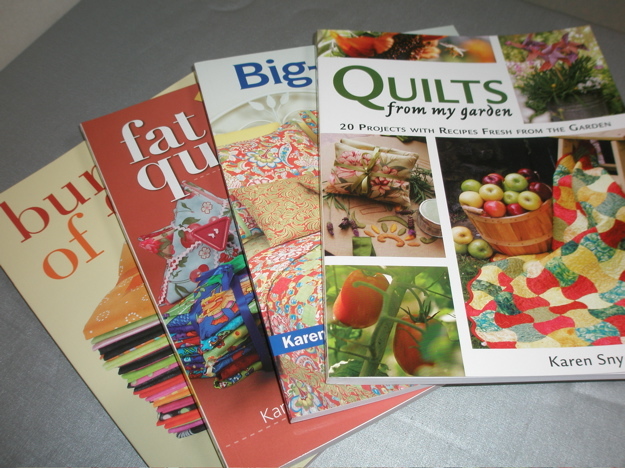 I’ve written four quilting books, and I’d like to give away all four of them to one lucky winner. Besides blogging, I also send a weekly newsletter. If you leave a comment, I’ll add you to the newsletter list and put you in the drawing for the books. The drawing will be August 15. Good luck!